I’m about to meet Bradford City joint-chairman Julian Rhodes and have just realised that I have sick on my shoulder. 11 weeks since becoming a dad for the first time, my limited parenting experience meant I did not think to fully check if anything more than a belch was released when I’d burped my daughter 45 minutes earlier. Luckily there’s a bottle of water in my car and the patch up job on my shirt will just about do. Family values clearly mean a great deal to Julian. It was 16 years ago now that he and his father first invested money into Bradford City and joined the board. Since then the club has gone through 12 managers, been promoted to the Premier League, endured three relegations and suffered two spells in administration. Finally, after a difficult 12 years, last season saw some long overdue – and rather spectacular – success. From initially having little day-to-day involvement in the running of Bradford City, the turbulent financial events following relegation from the Premier League dictated that Julian had to take over and deal with the mess caused by Geoffrey Richmond. At times looking a reluctant owner, Julian has saved the club from oblivion and got it back on its feet; the arrival of Mark Lawn six years ago easing the burden. Famously steering clear of the limelight and rarely giving interviews, Width of a Post was hugely grateful for the opportunity to meet with Julian and ask him about his 16 years at the club. He gasps at the number of questions I have written down, but over the next hour answers each and every one of them. WOAP It’s 16 years since you and your dad joined the board at Bradford City. How did you come to get involved with the club? We first spoke to him in January 1997, and we ended up finalising the deal that July. There was a lot going on at the club around that time. We had just survived in Division One (now the Championship) on the last day of the season. It was very much a backseat role. Geoffrey Richmond was the man in charge. WOAP: Within the first couple of years Bradford City were promoted and stayed in the Premier League – it must have seemed easy this board member lark! Well it wasn’t that easy. We (the Rhodes family) did have to borrow £5 million to fund the 1998/99 promotion push. 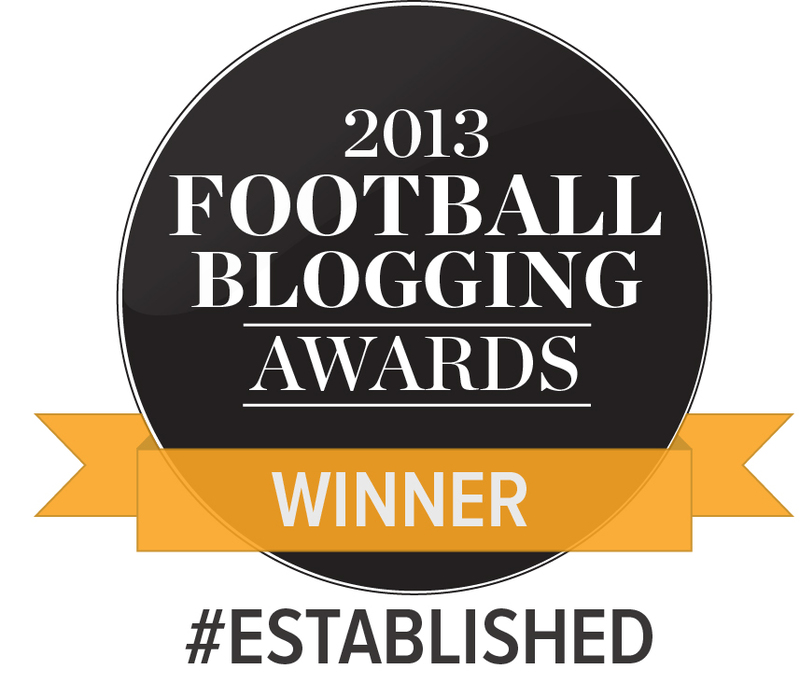 It was the right thing to do because at the time Division One was a relatively weak league. It was the right time to have a go and we proved so. I think the season we stayed in the Premier League was a record for the lowest wage bill also (£5 million). But that’s the thing really – if only we’d have come down instead, we wouldn’t have had all the problems. I think that because we stayed up, Geoffrey thought that we were the new Man United. WOAP: How much were you and your family involved with the running of the club around that time? We weren’t involved at all. I remember finding out about the signing of Benito Carbone on Teletext! Geoffrey Richmond called it six weeks of madness but I actually think it was four. Because he blitzed all of that money during a four-week period. The damage was done there and then. It was very apparent that, if we got relegated, we would be in big trouble. And after about two months, it was obvious that we were going to get relegated. Once you have players on the kind of money they were on, if they’re not doing the business, it’s really hard to get rid of them. WOAP: It all went wrong very quickly. Did it lead to a change of your involvement? Yes, I got a lot more involved after we got relegated in 2001. To be honest, we would have been better going into administration the day we got relegated from the Premier League. We tried to keep going, but the situation was completely unworkable. You try to delay it in the hope that things will happen, like selling Carbone. But in reality it would have cost a fortune to get rid of him (due to the four-year contract he was in the second year of). Even then, it was still a shock when we had to put the club in administration. I think some people thought it was some kind of wheeze but it wasn’t. The final straw was I saw some cash flows that showed the club was going to be haemorrhaging £1 million a month. But when I looked more closely, that assumed that we were receiving all of the ITV Digital money, which we weren’t, and it also assumed we were getting rid of Mr Carbone, which we weren’t. So it was more like we were haemorrhaging £1.5 million a month. And it would get worse than this 10 months after that. So the game was up. I think the other problem we had was that we were one of the first ex-Premiership sides to go into administration. A lot of our creditors were common to other football clubs. And the other clubs were out to make a stance. We put together a CVA that was difficult to say the least, which was why we ended up back in administration a year later. It was horrendous. What you have also got to consider at that time was that all our wealth was in Filtronic shares. They were put up as collateral for everything we owed. The peak of Filtronic shares was £25. In October 2002 they were down to 27p. We were lucky that the bank didn’t pull the plug on us. We had nowhere near enough coverage for what the debts were. Really, they should have bankrupted us and bankrupted the club. Luckily they didn’t. The bank manager at the time, who has now retired, still comes down here to watch games. If he hadn’t given us such leeway at the time, we wouldn’t have a club. It was a really difficult time for us. I remember being really concerned about my dad. I thought he was either going to have a heart attack, a nervous breakdown, or both. In the end I told him to stay away, get back to what he was good at and I’d sort the mess out. WOAP: Obviously you and Geoffrey Richmond fell out and he left the club. Have you been in touch with him since then? Don’t get me wrong I was bitter at the time. We fell out during that summer, but we did have to work together to get things through. There was no way he could have stayed, so off he went. But I have spoken to him since. Let’s be fair, he didn’t deliberately set out to ruin the club. But he was a gambler, and like many gamblers he didn’t think about the downside of the risks he was taking. If you speak to the Football League, they still say that Bradford City was in the worst position out of all clubs who went into administration. Even though Leeds United had bigger debts, they were a much bigger company underlying those debts. Whereas Bradford City, traditionally, has been a much smaller football club. WOAP: In came Gordon Gibb, for 18 months at least, and a new era of austerity. What are your memories of that period? I was amazed that he came in in the first place, but obviously very grateful. I think perhaps that if he had his time again he would have found a different football club to invest in with perhaps not so many problems. He came in August 2002, we were out of money by October 2002. We had a little falling out around the November time when I had to go and see the PFA about getting the players to take wage deferments. From Gordon’s point of view he was young, he’d put a lot of his family’s wealth into the club and yet we were still after more. We got through that season by hook or by crook, and I was very surprised that he offered to do the property deals at the end of 2002/03. Football League rules are very clear that football creditors have to be paid in full, so we had to find a big lump of cash to continue paying the wages. We had the option to sell the office block and club shop or the stadium, but really we needed to do both. Gordon offered to buy the stadium, which I was surprised at given only a year before he had parted with a lot of money to buy half the club, but I suppose he saw it as offering a bit more security. Still, to be fair to him, it was a very brave thing to do. As it happened, this money was still nowhere near enough to cover what we needed. We still had to go into administration. And I don’t care what anyone says, if there’s no football club here, this stadium is worthless. It would actually cost you money to flatten the ground and build on the land. As it’s happened it has worked out nicely for him. There’s still a football club and he gets his rent paid. I was a bit upset when he went on the pitch and slagged me off (against Crewe in February 2004) when I wasn’t even there. Perhaps he could have reacted differently. But I will always be grateful for the fact that he came in when he did when there was no one else willing to do it. 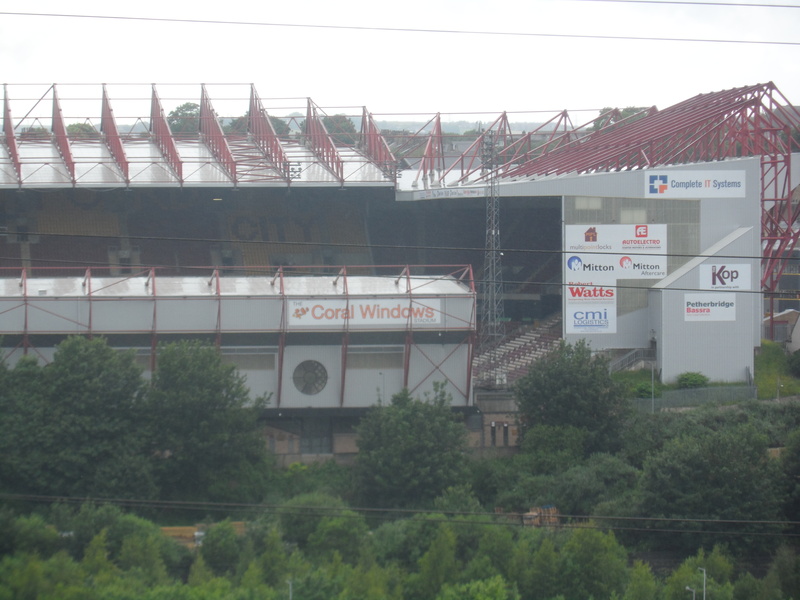 WOAP: In hindsight selling Valley Parade to Gordon looks a costly mistake. Do you regret it? We had absolutely no choice. There was no one else who would have bought it. We managed to get someone else (Prupim) for the club shop and office block, because they could see an alternative use if the club went belly up. But there was no one else prepared to do that for the stadium. For me it was nowhere near as bad. It was completely necessary. We were trying to find a way to get around administration, but part of the reason we did go into administration was because we couldn’t agree a deal with Gordon. We were looking to put some more money in to pay the bills. All I will say is thank god we did go back into admin when we did. Had we not, we would have ended up going back in at some point in the future having blown a load more money and the club would probably have been in a much weaker position. I know for supporters the summer of 2004 was a difficult time, but I actually felt a bit more in control of what was going on compared to the first time. I was always relatively confident that a positive outcome could be achieved. I know that the administrators set that deadline to shut us down, but I knew they wouldn’t do it before I had chance to get a deal done with the creditors. We didn’t actually come out of administration until December that year. One of the reasons it took so long was because we had some money set aside to pay stadium rent. We’d had a 12-month rent free period, but by the time the rent was due we were in administration. So the rent owed had built up. Gordon took an injunction or something out against us. It got to the stage where they were actually stopping us from paying the rent. I remember speaking to their solicitor and assuring him that, if we got out of administration, we had a great chance of surviving and paying the rent. That we did and we have done ever since. Apart from one month where we were a week late, a couple of years ago. WOAP: There was that famous day where the club was about to go under and fans were gathered outside the ground, when a gang of five businessmen came in and got you all talking again. Was that a crucial moment? I couldn’t figure out what was going on then. I remember that day. I had organised to meet Mike Moore, who was the administrator, to go through the deal in the afternoon. So there was no way he going to shut it down at 10am like it was suggested. I got the feeling Mike was trying to push the council to see if they would do anything to help. But they didn’t help. I could have told him that! WOAP: Did you get to the point where you didn’t want to continue as owner? All the time. I sometimes still get like that. It has been getting easier and easier, slowly, since 2002. When you have a monumental problem and you keep chipping away at it, it gets easier. But it does take up all your focus, and you do sometimes think “there’s other things I could be doing”. I was lucky really. I had put my last bit of money into a start up company in North Yorkshire, based at a pig farm. That has been going along nicely and earlier this year I sold it. But before that it was something that gave me a regular income at the time when all the club’s difficulties had been going on. That was important, because I wasn’t getting any money out of here! WOAP: League One brought calmness for a while under Colin Todd, before the fans got restless. Did you feel we had at least bottomed out? I think it’s hard when you are going down the leagues, because people think “we used to be in the Premier League” but potentially ignore the fact we were in the Premier League with a £36 million debt. So you get people expecting us to get back up there. Colin was a victim of his own success. That first year he was in charge, at the end of October we were second. And because we missed out on promotion, people said it was narrow failure. But it wasn’t. We were in admin when that season started, with just five players under contract, so he actually did quite well. After that, I think expectations were much higher. Colin did well to keep us in the top half of the division for quite a while. But, he wasn’t popular with a section of supporters and ultimately they are the people who pay the money. I think Colin would have preferred it if I had kept him in charge until the end of the third season and then we made the change, and to be fair I had just sold his two best players; but I felt that we needed some kind of change of impetus. We had only won something like three from the past 20 games. People say we were only midtable (when Todd was sacked), but at the end of September we had been fourth and then went on a horrendous run. I think at the back of my mind I always felt we would end up in League Two. I have been disappointed, since 2007, how long it took us to get back up into League One and also disappointed with the flirtations with relegation in League Two. Because for the first time in years, we had a large budget for the division we were in, when in League One we had a small budget. But thank goodness we have seen our way through that and hopefully we are on our way back up. WOAP: In League Two you at least had the boost of Mark Lawn’s arrival. How important was that? It was massive. You look at major things that have happened over the last 11 years – that was up there. We were down in the bottom division. At this point, most of the debts were sorted. But we still had a lack of money and we needed more. We still had the shop and office building rent, which was a drain. Mark came in May and some of his money paid the wages of the players about two hours later. His investment gave us a platform of being able to set bigger break-even player budgets. Mark, the cheap season tickets, and Stuart’s arrival that summer all gave us a new lease of life. From a personal selfish point of view, it helped me out no end. It was someone else to share the burden. I’m not sure he thanks me for it! I think he thought running a football club would be a lot easier than it was. But I think he enjoys it! Of course I was disappointed with how it turned out. But we shouldn’t forget that in the 2008/09 season Stuart was desperately unlucky. Up until Omar Daley got injured, we were flying. The number of fans who didn’t like Omar Daley, but when he got injured we didn’t pick up another win for ages. I think even his most ardent non-supporters realised at that point that Omar was integral to our success. I think that Stuart was really unlucky. After that season it became more difficult for Stuart as we had to cut back. He was getting really frustrated. It was getting to him. I speak to him a bit still. He is much happier, more relaxed and I think the managerial experience he had here has made him a much better manager today. I thought the way Stuart handled himself at Bradford was incredible. When we appointed him as manager, he was the biggest legend the club has ever had – and we know that all managers get the sack eventually! So it did concern me that, at some point, we might have to be parting company. But I thought the way he handled it was brilliant. He left in such a dignified way that he is still loved here. He has been to a few games since, sat with me in the box, and everybody comes up to him and people still love him. He will always be a legend here. That was disappointing. The season when he came in and replaced Stuart for the final three months, we finished it quite well. So we were all quite optimistic. But to be fair to him, the budget was coming down again. Peter had the worst budget that any Bradford City manager has had in League Two over that six-year period. So I think we were perhaps asking a bit too much of him. When he came in, the expectation that we had was that if anyone can pull it out of the bag maybe he can. But sadly it worked the other way and we found ourselves in a relegation battle. All I will say is that we do try to do things the right way when we part company with managers. When we beat Villa last year to get to the cup final, three of the first congratulatory text messages I received were from Stuart McCall, Colin Todd and Peter Taylor. They do still wish us well. The unusual thing with Peter, when we parted company, was we told him that he had to be in charge for one more game (Stockport home, which City won 3-2). “Oh and by the way we are only charging £1 admission so there’s going to be a full house!” But he left a hero. Gareth Evans scored that 90th minute winner and Taylor left the pitch with everyone clapping him. I persuaded Mark to let Peter come in for the rest of that season. I thought “We can’t strengthen the squad, what we need is a motivator. Peter is as good as anyone. Surely he can come in and do enough to keep us up this season”. And he did. The only problem with that was that we felt we should reward him by making him manager for the following season. Now, unfortunately, I think perhaps he had spent a bit too much time away from the game and he wasn’t as up-to-date on player situations as he could have been. So that summer was a difficult one. I must admit I was horrified after watching our pre-season friendly defeat to Carlisle. I walked away thinking that we were really bad. The first home game of the season before that was against Stevenage, where we won 1-0 – no idea how! I went home and said to my wife “this is the worst squad we have had for a long time.” One year on I went home after the Aldershot game (City lost 2-1) and said to the wife “You know what I said last year? Scrub that. This lot are even worse”. After the first four games we had just one point, and that was a very lucky point picked up at Oxford where they battered us and we were poor. So we approached Peter about what we were going to do – and to be honest we were quite prepared to continuing working with him – and he said that he wanted to leave. WOAP: That summer saw the arrival of Archie Christie and the Development Squad. What caused you to appoint him and how do you view his impact on the club? We met Archie when we interviewed John Still for the manager’s job that summer. We didn’t appoint John, but Archie offered to come along and help us out for free. Archie did some good things for the club. I didn’t agree with everything he did, for example the two lads from Falkirk he signed who I didn’t think were up to it. But on the positive side there was Nahki Wells. He saw the potential in Nahki – Peter Jackson wasn’t bothered about him. Archie told us that he thought Nahki could really play and wanted him in the Development Squad. Archie was responsible for Phil Parkinson joining the club. It was Archie who recommended him and introduced us to him. For some reason Archie doesn’t get the credit for this, but it was down to him. Archie also did a phenomenal job with George Green, getting that deal done, and also getting us some money for Tom Cleverley. So like anything in life, with Archie there was some good points and bad points. I actually have a lot of time for Archie. He is certainly a mover and a shaker. He gets things done. But he had lots of other things going on in his life and he left to address them. I still talk to him often. I understand all of the arguments about the Development Squad. I think that for us, the priority always has to be to get the first team right. I think that a Development Squad works if you are a massive club and can afford to do it, or you’re a very small club and you can’t afford not to do it because you’ve got to get those players in your squad. When you are us, and you are aiming for instant success, the first team has to be the priority. We know that if we get into the Championship everything falls into place. So perhaps it is something we will look at again if we become a big club and can afford to do it. In part two, Julian talks about the financial impact of the cup run, the job that Phil Parkinson has done and expectations for the future. Fantastic read, Great interview. Looking forward to part two! I was shocked when on twitter i seen Mr Rhodes was being interviewed by width of a post. I think it shows the togetherness now at the club from board level right through to the supporters. Long may the feel good factor be at our great club. Jason you have excelled yourself with this scoop. Julian Rhodes rarely gives interviews and to pull this one off is terrific. Really interesting his talk on the 2004 administration and how he felt in control. We certainly went through scary times in the last decade but hopefully now we can all enjoy some success. Jason this is excellent. An excellent interview with Julian who has obviously very rarely given such an in depth response before. Please get part 2 out soon. Jason, top notch as usual. You are wasting your time in the full time job, pack it in and become a sports journalist mate, your that good. Wow, what an interview! Brilliant stuff and so interesting to hear about Archie Christie, the development squad and the premiership era. Really looking forward to part two! An interesting article, Jason and it’s good to read about an alternative view of the ‘facts’ as we know them. However it isn’t clear what the purpose of the article was other than to provide JR with an outlet to give his version, but not unbiased, recollection of events. The publication of the interview is also timely given the imminent publication of Jackson’s autobiography. An interesting coincidence! Whilst this has undoubtedly been an opportunity for JR to articulate his own version of events, it would have been a little better if there had been some challenge towards his statements. I’ll refer to just two of them. Firstly, the disagreement between JR and GG is well known but it doesn’t help for JR to imply that the deal for GG to buy VP was entirely in GG’s favour. JR says that GG’s offer was the only one and yet JR’s father who was also a major shareholder and funder of the club said in an interview (I think with with the Yorkshire Post) just after Admin 2 when memories may have been a little clearer that there were several offers on the table form other potential purchasers of VP but that GG’s offer was the best. Why wasn’t JR challenged on this point? Secondly, the principal reason for Administration was given by JR as the six weeks of madness. Whilst this was undoubtedly a significant factor, there is no mention of the £8million or so taken out of the club in cash dividends by the Rhodes’ and Richmond families just prior to Admin 1 which undoubtedly had a significant impact on the club’s finances. Why was there no mention of this or challenge by the interviewer given that it is in the public domain? Thanks for your feedback and sorry you don’t appear to be happy with the quality of the interview. I’ll try to answer your points. –	The purpose of the interview: Julian kindly accepted a request for an interview about Bradford City matters. There was no agenda on his part, or mine. In terms of Jacko’s autobiography (and interesting revelations in today’s T&A) it is a coincidence. We did the interview last Thursday, which was the first time I was able to get a day off work to do the interview. I choose to publish it on Monday as a) it requires a lot of work on my time writing up the interview and b) we had the Sheffield United game at the weekend, so wanted WOAP to focus on that first. I had no idea about the T&A’s plans for this week. –	In terms of challenging, my view going into the interview was to give Julian a platform to air his views but to ask some difficult questions. Funnily enough, I read someone on a message board slating me for asking challenging questions that had my own agenda and biased anti-GR stance (news to me, as I don’t dislike GR). So I guess in some respects you can’t win on things like this. But I take your point. –	The other people interested in buying VP, I have never heard of this or seen the interview you refer to. If I had it would have influenced the question for sure, but I was under the assumption it was Gordon Gibb buyer or nothing, so that was why his response was not challenged. Pre-empting a subsequent criticism of “do better research” I did do quite a bit of research before writing the questions, but I do have a full time job and have just become a father – my time is limited. For sure, if I knew about that interview I would have asked him who the other interested parties were. –	The dividend issue has been mentioned a lot in the public domain with JR speaking at length about them before. His defence was that he ended up paying all of it back and more when admin occurred (whereas GR did not). I was conscious that I didn’t have too much time with JR and wanted to get through his 16 years at the club and to the modern day. In terms of admin 1 in particular, I could have easily spent the full hour asking questions about this. But I wanted to cover more than this, so I didn’t ask about the dividends. I accept the criticism you are making but all I can do is give you an honest answer and that was that I wanted to make sure the interview covered a whole range of things that occurred during JR’s time. Thanks again for your feedback and sorry about your disappointment at my efforts. Jason, you really need to learn that, when burping a baby, you must cover your shoulder with a towel or equivalent. Do they teach you nothing nowadays? Apart from that disappointment, super article. Jason, I’m not aware that you have any particular axe to grind with either JR or GR and I didn’t mean to imply that. Similarly, I’m not suggesting that you had any hand in the timing of the publication of the interview given your other commitments. However, from JR’s perspective, I’m sure he was always aware of the timing of the publication of Jackson’s autobiography given the nature of the settlement of 12 months ago. I’ve no idea who was interested in purchasing VP in 2004 but you might want to trawl the YP archives since if I remember correctly, there was an interview with the Prof at the time. However, failing that, the Prof also issued a comprehensive statement and placed it on the City website on 17 Nov 2004, which referred in para 7 to ‘several parties being interested in [buying] the stadium itself’. I’m sure you will be able to find that piece. If not, I’ll scan my own copy and send it to you. Please don’t misinterpret my comments. I wasn’t disappointed with the overall quality of your article, in fact, quite the opposite. However, I have a genuine view that journalists, including those who write for an online fanzine such as WOAP have a responsibility to question what is being expressed by interviewees and not merely take it at face value. There are gullible readers out there who will take everything said by the chairman as the gospel whereas in reality it is merely their own spin/selective memory/exaggeration/ (delete whichever applies) of the facts. Those who report it these things and place it in the public domain must equally take the opportunity to delve a little further to present a more balanced viewpoint. Cheers for your feedback on being more challenging which I will take on board for next time. In terms of the statement, since 2004 the club has twice deleted the official site archive and you can’t even get stories from 18 months ago now. if you have a copy of that statement I would love to read it. I also never got to see the CVA document as I wasn’t a season ticket holder at the time. It’s something I have always wanted to read. On dividends, David Conn wrote an excellent book 10 years ago called ‘The Beautiful Game?’ which has a chapter on City. The dividend issue is covered with David revealed how GR would not put any more back in. The guarantees that the Rhodes family put up are covered, and there is a quote from Julian on the dividends “Yes, we took them, and we were glad to have them; so we had put big money in and that was some reward. But we fully expected that if the club needed money again, we’d have to put it back in.” Maybe that’s not explicit enough, but given there is talk of the guarantees put in and Julian alluding to putting it back in would suggest that he did. On the timing I do genuinely think it is a coincidence on Julian’s part. Without reading the book I don’t think what was reported in the T&A is that bad (and has to be taken with a pinch of salt anyway as it from an autobiography) although there may be worse content in the book. I have never understood this question mark over dividends – why shouldn’t an investor take a dividend in times of profit. The criticism implies that loss should be accepted but profit cannot be taken! Bradford City is a business not a charity. Superb article Jason, I’d rather hear views from the people involved rather than some vague Yorkshire Post report. Newspapers always tell the truth don’t they! Rob, I agree that companies which make profits should pay their shareholders an appropriate dividend. It’s a mainstay of western capitalism and one which I wholeheartedly support. The issue about the £8m dividend was that it was paid by a company which had not really made a profit! The club which held the FL golden share (for which read Bradford City 1983 Ltd) did not make a profit during our years in the old first division and during the premiership years. That’s all available from Companies House. However, what the owners did was via a holding company to charge the club a ‘management fee’ thereby inflating the losses of the club (and we all know how that ended) and for the beneficiary of the management fee to be the holding company. The holding company then distributed this management fee as a dividend to the Rhodes and Richmond families. That’s how some companies used to be able to create dividends even when the underlying business hadn’t made a profit. I understand that this is now an illegal practice. Whilst your probably right, it is basically creative accounting, tax avoidance, whatever you want to call it. These multiple companies are a nonsense – my cricket club rented out some land to a golf driving range and we got a percentage of the profits as well as a low rent – they just set up a separate company for the profitable parts and the company who signed with us make a loss – that is we get nothing on top of the rent! It’s clever really but wrong – my points is it happens everywhere – Portsmouth, Coventry most recent examples of clubs who really shouldn’t exist anymore. This is the best football journalism I have ever read. We have conversed may times before and disagreed as football people do. This is just the business. Many thanks. Mark Ashdown AKA Marcodelapuebla Riddlesden.